If you harbor a grievance against somebody, or something, that has caused you harm you require a heartfelt apology, and, on occasion, your pound of flesh, in compensatory retribution. If you want to have Inner Peace, you had better start with understanding and applying forgiveness. Only Love is real, everything that is not Love is an illusion. What guilt or grievance is there to forgive? Whatever happened, which was not Love, did not really happen it was an illusion! If you want Inner Peace, you must learn to see through the illusionary action or words to the reality of Love that lies past the illusion. The person, or entity, that is responsible for having the guilt suspended their real selves and became someone or something else an illusion. If they can now recognize and realize that, their actions or words were not based on Love, but on Ego, then you, and they, can see past the illusion to their real selves those Love-based Souls they really are. Everything done is a cry for Love. Everyone wants love and wants to feel they are returning home to become the Part of God they really are. Accept the fact that some people do it in strange and unfriendly illusionary ways. It will help you to see every action or words done in illusionary ways as if a small child seeking love and attention is doing it. The biggest abuser is seeking love, admittedly in a peculiar and offensive way, but the worst crimes simply signify how lost this real person is in the illusion of fear based power, control and manipulation. If the person transgressing society’s norms cannot recognize their real self and still see their illusion as their reality then you have to accept that and you have to see through the illusion and recognize their real self as the Love that they are. It is your Inner Peace at stake here. You seek your Inner Peace. If you don’t see past their illusionary actions or words to their real self as the Love that they really are how will you gain the Inner Peace you so desperately seek and need. There is nothing to forgive, simply see past their illusionary actions or words to their real self, which is Love, the Part of God that they are. Your reward is your Inner Peace. If you have done harm to yourself, and possibly to others, follow the same course of action. Look past your illusionary actions or words to the real you, Pure Love, the Part of God you really are. There is no need to forgive an illusion – it is not real. However, if you need to forgive, know that it’s because you have chosen to forgive. You have chosen to look past the transgression to the real person, Pure Love, the Part of God you know you, and they, are. You are seeking Inner Peace. Acknowledge that angry people cannot find Inner Peace. Acknowledge that if you can’t let go of the past you will not find Inner Peace. The past is over and can’t touch you now unless you let it in. Healing can only exist now, in your understanding of the illusion of the transgression, your forgiveness of past actions now and your acceptance and embracing the real person now, the Pure Love that they are, as Part of God. 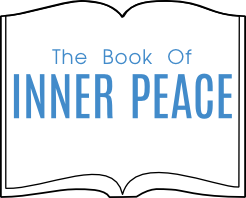 Now you can find Inner Peace!